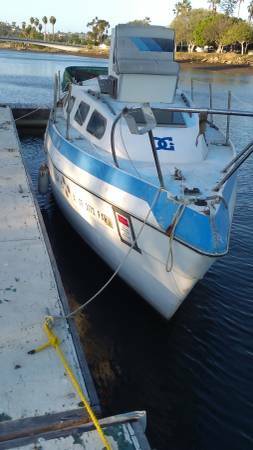 This boat is a fixer dirty but could be a nice boat again! Hate to see her go to the dump. take it home or a Marina or a lake or an extra room in the backyard! have lien sale paperwork. 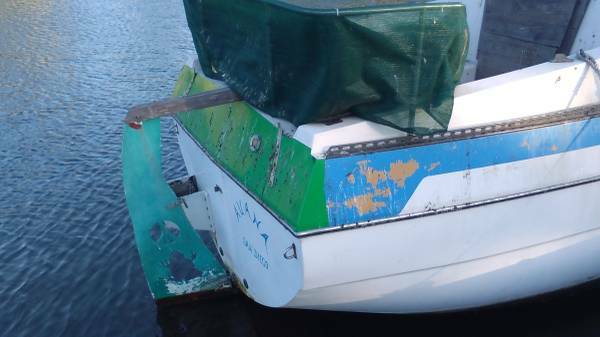 no trailer has shallow shoal keel can be moved with a regular powerboat trailer. I will also throw in a new powder coated mast and boom and mainsail and jib. THIS BOAT NEEDS SEVERE CLEANING! One last chance before the wrecking ball takes her. bring your outboard or trailer and take her away.